It’s almost Cinco de Mayo guys! A good excuse to throw a party with your friends and make some awesome homemade Mexican food! I’ll be making several of my favorite Mexican dishes, particularly Authentic Mexican Rice and Cantina-Style Salsa. I’ve found that my way of judging the quality of a Mexican restaurant is by tasting their Horchata. It can’t be overly sweet or I’m completely turned off. 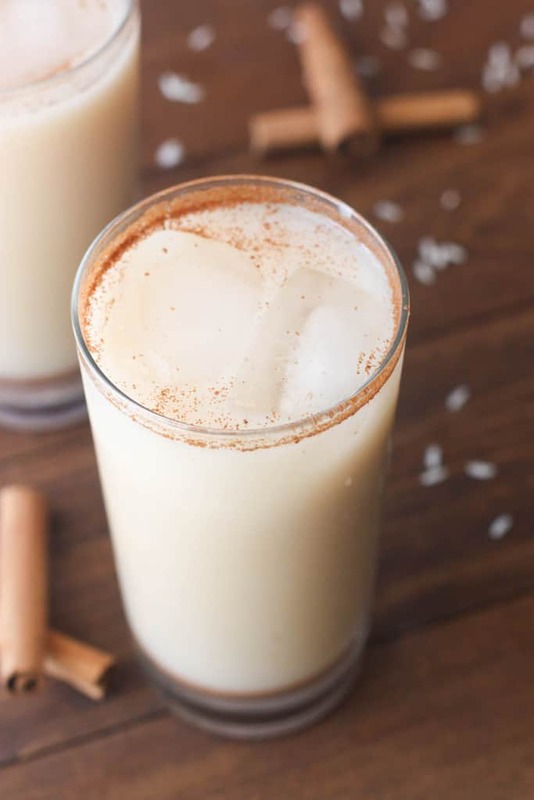 Horchata is essentially made out of rice, milk, vanilla, and cinnamon. There’s an important balance to the creamy rice and cinnamon flavors. 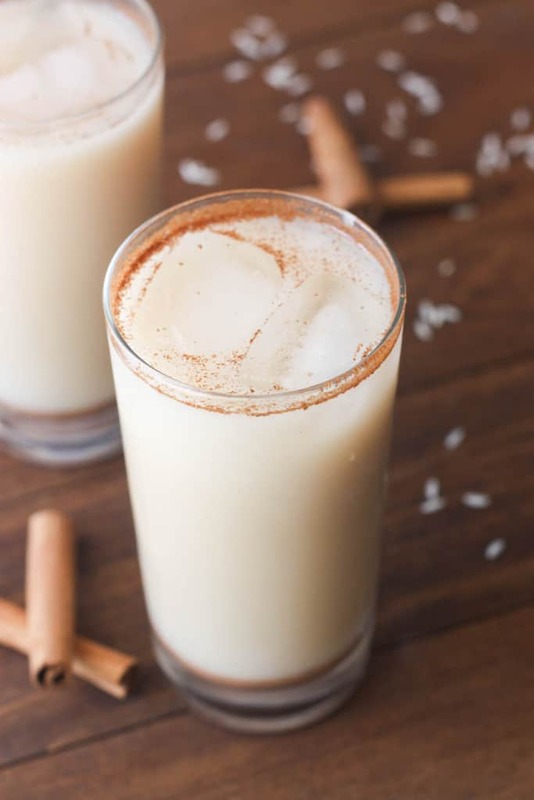 This homemade Horchata recipe is incredibly easy to make and DELICIOUS! To a blender, add rice, 2 cups of water, and 2 cinnamon sticks. The recipe says to use long grain rice. Can I just use normal white rice from the store? Short rice, I guess. Thanks! I’ve made this about three times so far. I have another sitting on my counter (for 8 hours) I actually tripled this time because it is just so good and refreshing! 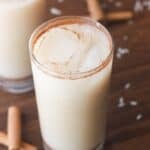 It is so much better than the store bought horchata in powder or syrup form. This is an easy recipe and so delicious!